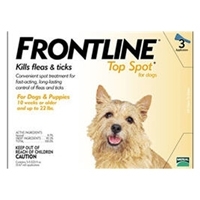 FRONTLINE ® Plus for Dogs provides fast, effective and convenient treatment and control of fleas and ticks for dogs and puppies. 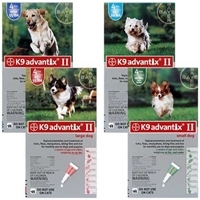 For the prevention and treatment of flea infestations on dogs&cats. Fleas on are killed within one day following treatment. One treatment prevents further flea infestation for four weeks. The product can be used as part of a treatment strategy for flea allergy dermatitis. 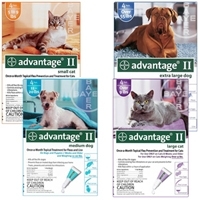 advantix® offers the advantages of a state-of-the-art solution for external parasite control: Eliminates fleas (treatment and prevention) for 4 weeks; can be used as a part of the strategy of treatment of flea allergic dermatitis (FAD). © 2019 Mountain Valley Country Store. All rights reserved.